The Adelaide-born Black arrived in Sydney in 1915 and studied under Julian Ashton and Elioth Gruner. 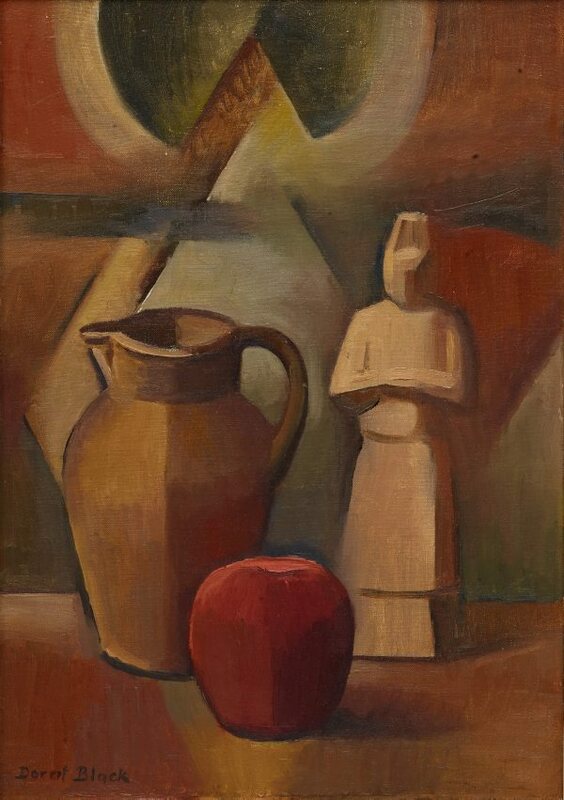 During the 1920s she was increasingly focused on 'modernising' her practice and in 1927 travelled to Europe in order to acquire (in her own words) "a definite understanding of the aims and methods of the modern movement and in particular - the cubists". She initially studied linocut printing at the Claude Flight Grosvenor School in London before moving to Paris where she enrolled in the Academy of the Salon cubist André Lhote. Black also worked briefly with Albert Gleizes in 1929 prior to her return to Australia. 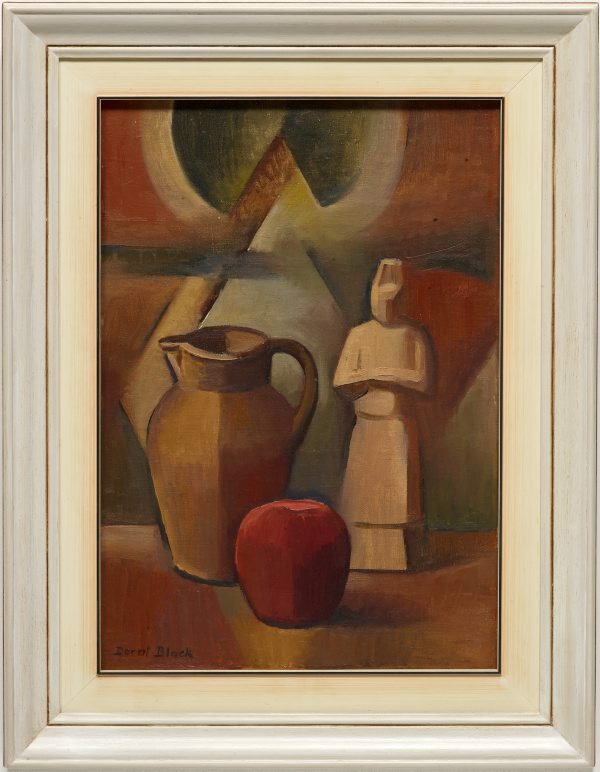 Black held her first solo show in Sydney at the Macquarie Galleries in 1930, exhibiting works that declared the cubist-inspired aesthetics that she had developed during her studentship overseas. This exhibition included 'The Chinese statuette', a work that stands out as one of the artist's most exceptional and formally resolved still life paintings. The work reveals her understanding of Lhote's compositional principles of a geometric order where the fractured planes of cubist construction were ultimately integrated into a rhythmically driven whole. Yet the work also indicates Black's own developing aesthetic of a modelled realism that recedes into fragmented abstraction. Using the compositional structure of the prism, Black beautifully synthesises a sense of the solidity of the still life objects within the composition's geometric construction, achieving a unified model of both weight and abstraction. Signed l.l. corner, black oil "Dorrit Black". Not dated. John Saxby, Look , 'A window opens on new stories about building the collection', pg. 26-28, Sydney, May 2015, 26, 28 (colour illus. ).